TED -which stands for Technology, Entertainment, Design- is a treasure trove of enlightening talks that cleverly brings science and the most amazing experiences to the laymen. Self-defence is not only about fighting techniques. It involves a number of softer skills which can be improved. 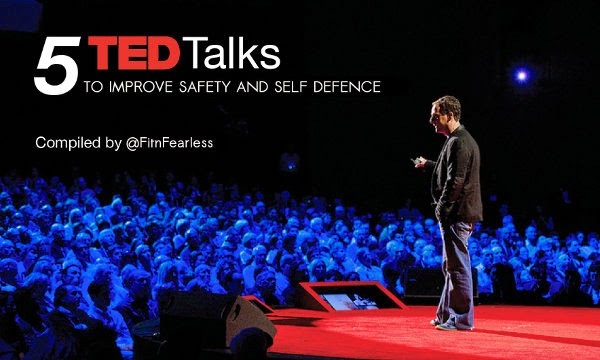 Here are 5 TED talks that will help you be safer. What better self-defence than not being picked as a victim in the first place? Predators tend to choose those whose body language suggests they are shy and weak. People with confident body language (even when they don’t feel confident) are thus less likely to become victims. Social psychologist Amy Cuddy shows how standing in a posture of confidence (a.k.a. "power pose") can affect our own testosterone and cortisol levels which in turn will boost our confidence (for real). "Fake it until you make it" has never been more true. Predators are deception-experts. This makes spotting a liar a prime self-defence skill. Pamela Meyer, author of Liespotting: Proven Techniques to Detect Deception, shows us the indicators (posture, eyes, breathing rate, fidgets, etc.) which betray liars. 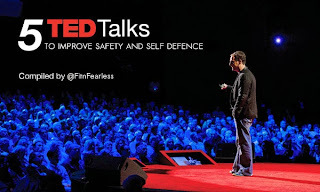 "Liar, liar, pants on fire..."
A violent encounter is a hugely stressful event, but stress is your friend says psychologist Kelly McGonigal in this illuminating talk. Changing the way you perceive stress can change how your body deal with stress. Then stress becomes an ally. What do you do when you're outside a space station and you suddenly go blind?. Astronaut Chris Hadfield's experience is certainly a scary one but his account of it is inspiring. Hadfield paints a vivid portrait of how to be prepared for the worst and it starts with walking into a spider’s web. An ever larger part of our lives is linked to the internet and the online world is not always a safe place. Cyber-security expert James Lyne reminds us in this astonishing talk that it's through simple things we do every day that we can compromise our online security. Here is the bonus: 6 basic tips for better online security. You're not at your best when you're stressed. In fact, your brain has evolved over millennia to release cortisol in stressful situations, inhibiting rational, logical thinking but potentially helping you survive, say, being attacked by a lion.